When it comes to choosing the perfect flowers on Valentine’s Day, things can get pretty frustrating for men. A beautiful bouquet for your partner shows the deep love and desire that you have for her, thus it becomes important to learn how to carefully pick the perfect flowers for Valentine’s Day. Of course, the florist you should do business with should share the same values as yours. In addition, it is also important that they adhere to high standards of quality and customer service. The arrangements of the florist should pass your taste and preferences. In addition, make sure that they are prompt at delivering orders to recipients. 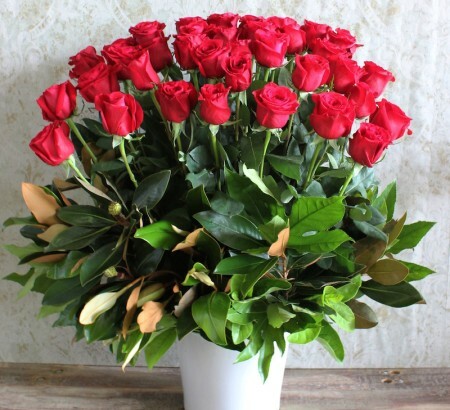 An efficient flower delivery service in Sydney should be able to meet any delivery request of clients. Lastly, it is important that you check out reviews and feedbacks from customers. Look through their social media and check if clients are satisfied with their level of customer service. Valentine’s Day is an extremely hectic season for florists. If you want to ensure that fresh blooms arrive at your lover’s doorstep, make sure to place your reservations a few weeks ahead. It’s not a good idea to order flowers until the last minute. The chances of them running out of flower arrangements and bouquets are higher on the day, or even a day before Valentine’s Day. In addition, flower arrangements that are bought last minute may not be as fresh and affordable than those which are reserved for delivery a week or a few weeks before heart’s day. Now that you have gained some vital knowledge on how to order flowers for Valentine’s Day, you may now call today to place your orders. You may reach us on 02 9871 1666.